Bible Studies: We encourage you to become part of a home Bible study or any of the studies happening during the week at the Fellowship Hall. This one for women and is hosted by Tina Ditmars in the Fellowship Hall most Wednesdays at 7:00 p.m. The current study is led by Lindsey Hatesohl. Prayer Meetings: Prayer connects us to our power source! 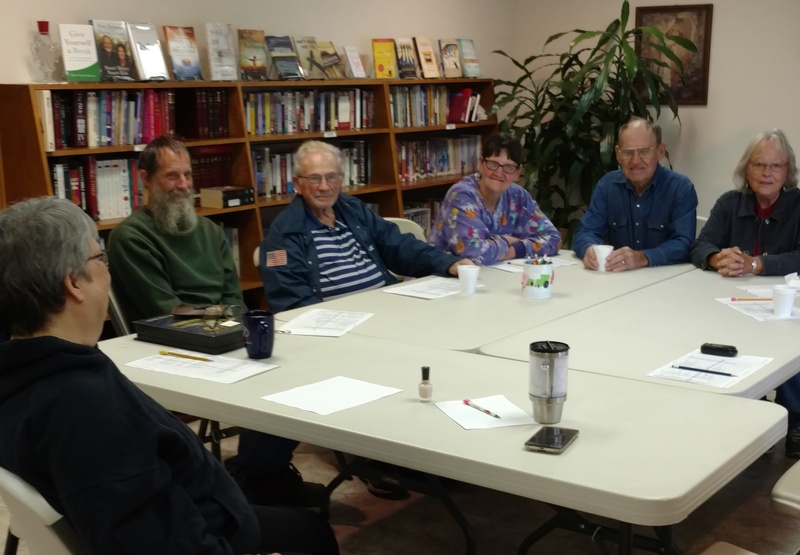 There are two adult classes meeting on Sunday Mornings. For a short time, both classes will be studying the book of Titus. They meet in the Fellowship Hall Building. The class begins at 9:30 with a coffee and fellowship time at 9:15 Sunday morning. During the 10:30 worship service, we also have a Little Lambs Class for babies to pre-school at the same time. They go to the church basement after “sermon in a bag” for their fellowship and fun time. The Bible Action Kids for Kindergarten through 5th grade stay in morning worship until after “sermon in a bag” when they are then dismissed to the Fellowship Hall Building for special class and activities planned for them. When the weather is extremely cold, both the Little Lambs class and Bible Action Kids will meet in the church basement. Financial Peace University (FPU) is a nine-week video class on money management taught through video by America’s most trusted financial guru, Dave Ramsey. Dave and his teaching team are walking us through the basics of budgeting, dumping debt, planning for the future, and much more! FPU class began January 10th, 2016 at 7:00 p.m. at the parsonage. This class is offered every year on Sunday evenings starting in January. Many thanks to Carla and Jim Stark who coordinate the class. Also many thanks to Kevin Kellar, Mike, Glenda and April Uhlrich for helping with child care when needed. For those interested in the class but concerned about the cost, scholarships may be available. If you want to participate in the class, please contact the church office or call Carla Stark at 402-879-3570. A Marriage Class for those recently married and for young couples began September 15th, 2013. The class was called, “Laugh Your Way To A Better Marriage” and followed the video series by Mark Gungor with the same title. It was a great study, strengthened the relationships of those in the group and inspired another study. If you are interested in having this class offered again please contact Jim S. or Carla. Our ongoing women’s group is called “Calendar Coterie”. They have their own webpage here on this site. The Calendar Coterie of the Washington Christian Church is open to any woman who is interested in serving Christ and seeking a time of fellowship and devotions with other Christian women. For those who love to sing, we have had a choir led by our director Gay Lynn Manning. We are taking a break but the next Choir get together will be posted here and in the bulletin. We also enjoy fellowship, fun, and prayer time at every practice. Come and make a “joyful noise”. 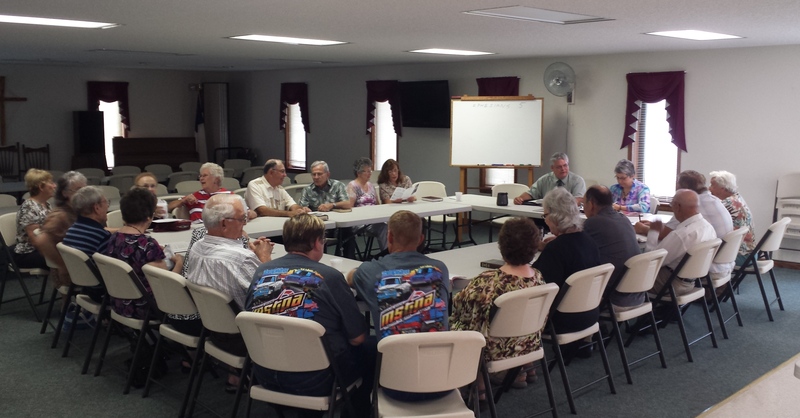 Some of our members and friends of WCC are a part of the Christian Motorcycle Association out of Marysville, Kansas. Our minister and wife, as well as Kenny and Twila Simnitt, Malcolm and Norma Stamm, and Don and Kaitie Wenzl are a part of this “wild bunch”. If you want to be a part of this mission-minded group of motorcycle enthusiasts, just contact any of the members for more information or go to their facebook page, CMA of Marysville, or go to their website, Christian Motorcycle Association.